Malian Cat back sports exhaust. What the folkss at Malian say about this system. All welds are done using TIG for ultimate quality and looks. All Mk1 MX5’s both with the 1.6 or the 1.8 engine, for the later MK1’s (1997 and 1998) with the longer 470mm cat you will need to buy the adapter pipe. Will fit any 2 bolt exhaust flange with a 63mm centre, this includes the following manufacturers' exhausts High Performance 2 1/2" Exhaust Gasket. This gasket is designed to fit where the bolts are between 84mm and 110mm apart. MAZDA MX3 1.8i Cat 24v Coupe 1845cc (100 kW, 134 HP), Eng:V6. NOT OBD 09/1991-12/1999. MAZDA MX6 2.5i Cat 24v Coupe 2497cc (123 kW, 165 HP). MAZDA MX5 1.6i Cat 16v Cabriolet 1597cc (85 kW, 115 HP), Eng: DOHC. 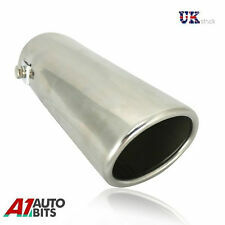 Cobalt, stainless steel, dual exit, performance, back box to fit Mazda MX5 NC / Mk3. This will fit all Mk3 models, it bolts to the OEM system. 1.2 mm thick polished stainless steel. Stainless steel used for inner core and perforated tubing. Designed to fit: MAZDA MX5 MK2 1.6 & 1.8 1998-2005. Mandrel Bent T-409 Stainless Steel. Oil Coolers & Hoses (42). Air Induction Kits (272). Useful Links. New Arrivals. Parcelforce Global Priority. Bulgaria ,Canary Island, Estonia, Gibraltar, Latvia, Malta, Romania. Compatible with Mazda Mk1 1.6 - 1.8 models. Quality Graded Stainless Steel. This is a direct bolt on de-cat pipe. Direct bolt on. 2 GASKETS PROVIDED. Excludes scottish highlands, ireland & northern ireland. 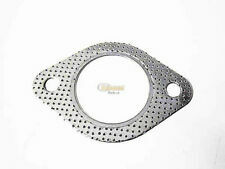 High Performance 2.5" 63mm 2 Hole Exhaust Gasket. 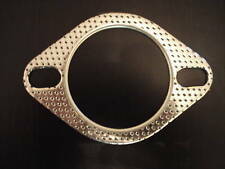 This Gasket is made from Perforated steel which allows the gasket. Replace your old gasket with one of our High quality gasket. This Gasket can be used for D-Cat,Down Pipe,Turbo Elbows. 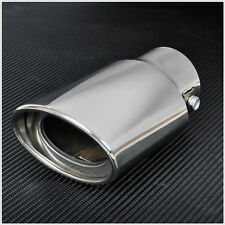 Mazda rx8 exhaust. Condition is Used. Collection in person only. Mazda MX-5 MK3 NC 1.8l 2.0l 2005-2009 models. Mandrel Bent T-304 Stainless Steel. Gain more performance due to more air flow. Scilly Isles & Isle of Man. Buy more and Save more. Parcelforce Global Priority. Designed to fit: MAZDA MX5 MK3 1.8 2007-2012. STAINLESS STEEL EXHAUST BACK BOX. Kids Ride on Car & Bike. Free flow mandrel bent T-304 stainless steel. 2" polished surface all the way with 3.25" twin tailpipe. 2.5" Bore Throughout For Optimum Exhaust Gas Flow! Uneeded FD3S nose clip `VQ` style. Grab a bargain. all fixing points intact. Fits all versions of the 2.0 Mk4 MX5. Does not fit the 1.5 version without modification. This exhaust replaces everything from the engine back, it features a tubular manifold and a high-flow exhaust without any catalytic converters, this will increase the sound as well as improving the look and power of the car. Racing Beat stainless steel hi flow cat for Mazda RX-8, improves performance and noise whilst still keeping engine emissions legal. Nearly new 5 months old 4000 miles use with cold start air pump still installed used on a daily driver regularly given the lead foot all the way to that sweet sweet 9k beep. Its also compatible with left and right hand drive cars. Mk2.5 will not include a catalytic converter in the downpipe. This turbo manifold is designed to be used with a TD04L 13t turbo from a Subaru Imprezza. Cobalt exhaust systems are not TUV approved. Cobalt's beautiful polished stainless silencer is full of features normally found in more expensive exhaust systems. Wanting only the best, this cat-back exhaust has an extensive set of features that make it the best. Part number: MZ05. 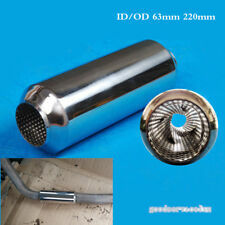 Mazda MX5 Performance Exhaust. Cobra Sport Exhaust. Northern Ireland, Southern Ireland, Highlands, Orkney, Shetland, Guernsey, Jersey, Isle of Wight, Isle of Man. (UK Islands and Highlands). 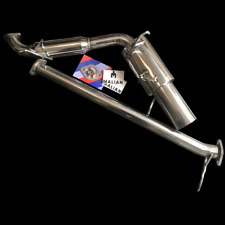 Mazda MX5 1.6 1.8 Mk2 ('01-'05) Sportex Exhaust inc Race Tube - Single 3"
This new aluminised mild-steel performance exhaust system features a SPORTEX polished stainless steel 3" round rolled tip tailpipe. The system is designed to fit directly onto the rear of the Catalytic Converter on all Mazda MX5 Mk2 1.6 & 1.8 models built in the date range Sept 2000 - Nov 2005. MagnaFlow Stainless Steel Exhaust System. Vehicle: Mazda 6. Direct Fit Exhaust. Year: 2006, 2007. Our exhaust systems feature straight-through flow designs for the ultimate in unrestricted horsepower and torque for big power while maintaining exhaust efficiency. We source our products from all over the world to bring you the best in MX-5 parts and accessories. Made using precision mandrel worked aircraft grade T304 steel. Fits all Mk3, 3.5 & 3.75 models, 2005>2015. Check with your local vehicle testing authority before purchasing and fitting a Cobalt exhaust system. Cobalt exhaust systems are not TUV approved. Specialising in Austin-Healey, Classic Mini, Jaguar, Mazda MX-5, MG, Morris & Triumph. 3" TAILPIPE! NOTICEABLY IMPROVES THROTTLE RESPONSE! Stainless Tube & Pipe. Parking Reverse Sensors. Exhaust Fitting Kits. Exhaust Reducers/Connectors. Direct Fit Systems. Our new automated system is active. Universal Back Boxes. Turbo- Kits / Accessories.